In 1880 James Sommerville began construction of his large, stately home in a town called Lucknow (pronounced Luck-No). Located 214km (133 miles) northwest of Toronto, Ontario, Canada, a trip to Lucknow brings you to an area of Ontario called Bruce County. Named after Lucknow, India, where the Indian Rebellion of 1857 took place, many streets bear the name of British Generals who took part in the campaign. History abounds, with a strong Scottish heritage. 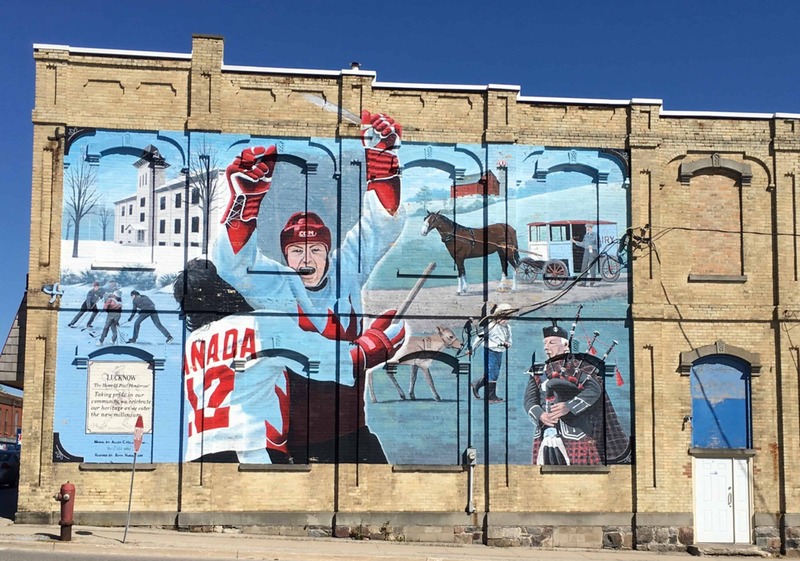 This includes a nod to the Lucknow Caledonia Games champion wrestler, Donald Dennie, honoured on Lucknow’s welcome sign. Also, hockey legend Paul Henderson grew up here. Henderson, a professional hockey player, of course scored the winning goal in the Summit Series of 1972, to defeat the USSR. Fast forward to today and the home that James Sommerville built, still stands. 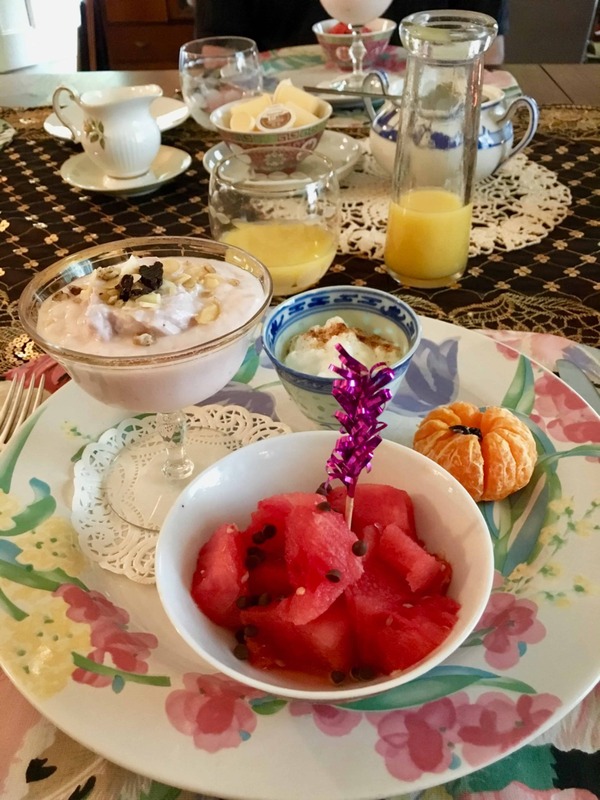 It’s now a unique bed and breakfast called Sommerville Court Bed and Breakfast. It changed over the years from a single-family home to a seven-unit apartment complex. 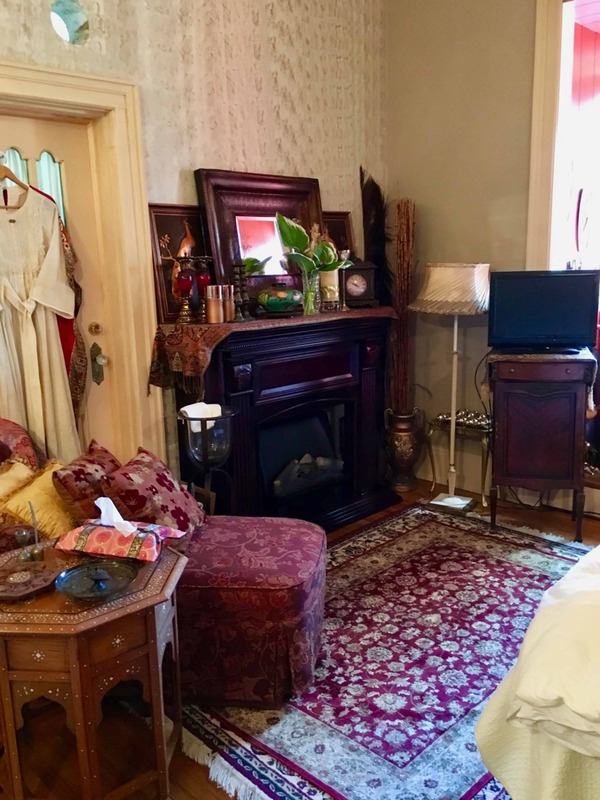 Purchased in 1994, by its current owner Brenda Cathers and her son, they continued to operate the building as an apartment complex for almost ten years. 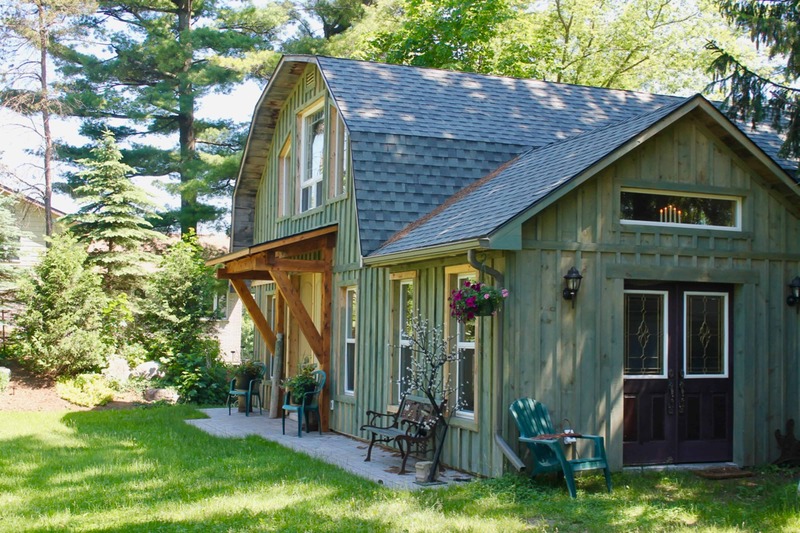 When significant renovations were needed, as is typical with older heritage buildings, Brenda and her son, decided to change direction and entertain the idea of a very large B&B. Thus, Sommerville Court was born. 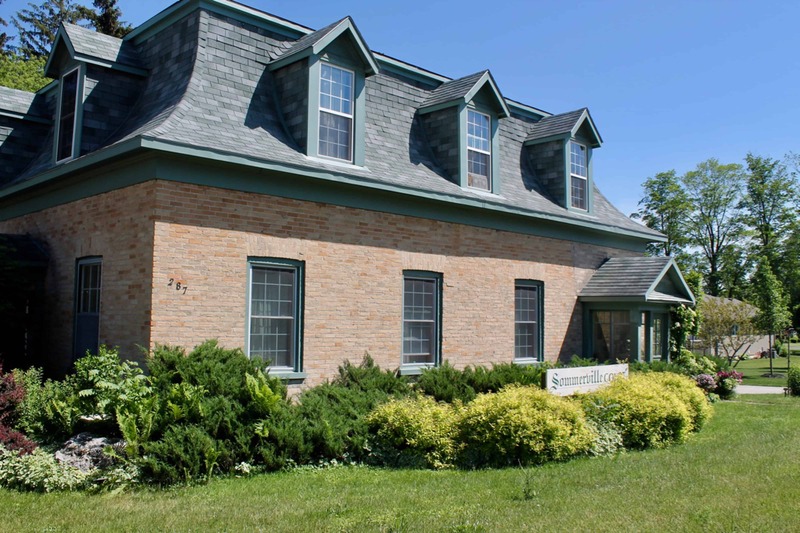 With 12 guestrooms and nine washrooms the heritage home can accommodate up to 28 guests. The name of each room honors one of the town fathers. We stayed in the beautiful Sepoy Suite, complete with a king-size bed, fireplace and Jacuzzi. An additional guest room is in the plans to be called the Donald Dennie room with plans to decorate it in a Scottish style. While each room is individually decorated, what gives the bed and breakfast life is its host. Brenda Cathers warmly welcomes all her guests, making you feel like part of her family. During our visit, we felt like we were staying with a long-lost aunt. Breakfast, served each day in the dining room just off the kitchen, provides an opportunity to chat with other guests. The dining room is an antique lover’s dream, filled with cabinets showcasing Depression Era glass and china. A recent addition to the property is a new event building. The beautiful post and beam barn framework was dismantled by Amish carpenters near Goderich, Ontario and reconstructed at Sommerville Court. The event room includes two lofts, sizable main floor space with a kitchenette, washroom, patio and a soon to be completed pergola. Brenda uses this space to host weddings, workshops, company meetings and recently listed her property on Ontario By Bike’s website. 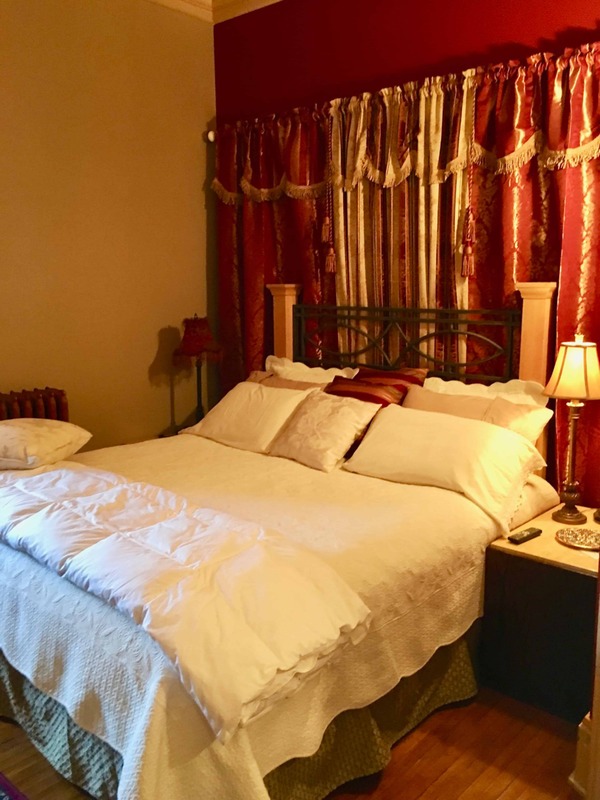 Sommerville Court Bed and Breakfast offers a beautiful place to stay while you are taking day trips in the area. Indulge in the Ice Cream Trail, visit many lighthouses and beaches or enjoy the small towns along the way. 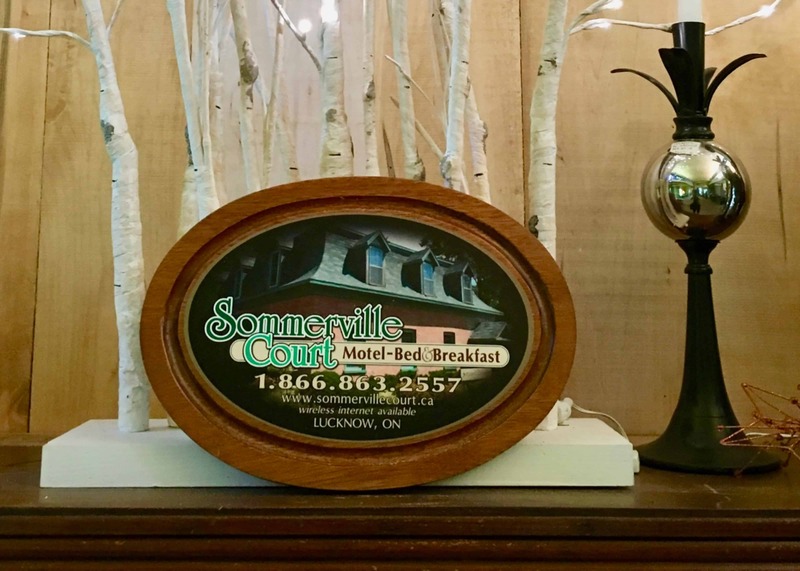 Sommerville Court Bed and Breakfast welcomes you to step back in history, feel right at home and enjoy the area. We were hosted for this stay. As always, all opinions expressed are our own. Members of ITWPA & IFWTWA. Host of the travel radio segment, Maple on The Map, on popcanradio.ca. Our writing can be found on voyagewriters.com. Lori and Sylvio are freelance travel writers based in Kingston, Ontario, Canada. They have both had a life-long passion for travel and for learning about other cultures, while travelling on and off the beaten path. Taking detours along the way has enriched their experiences immeasurably. Both enjoy writing and photography, so it was a natural fit to combine this with their love of travel. Lori was in education for 30 years. She was able to combine that with 14 years of part-time work as a Tour Director for a travel company that provides motor coach trips across North America. Upon retirement from teaching, she moved into the tour company office as a tour planner. She has kept a travel journal for over 30 years! Sylvio spent 25 years in the Canadian Airforce, travelling the world as a pilot. Now retired from the military, he spends his time as a commercial pilot. He also spent the last 5 years writing a regular column for Canadian Aviator magazine. They have both taken online and live travel writing workshops and are members of International Travel Writers and Photographers Alliance (ITWPA). Well this is interesting. I have never been to Lucknow and I live in Ontario. I will remember this spot. Last year for the first time we stayed in a B and B in Lion’s Head. It was awesome. Very good breakfast, calm and peaceful location. I would do this for sure. Paula, it’s a nice little town with lots to do in and around the area.